BELMONT ESTATE, Tortola, VI- A woman was rushed to Peebles Hospital with injuries following a lone vehicle accident at Belmont Estate on the western end of Tortola today, July 20, 2017. 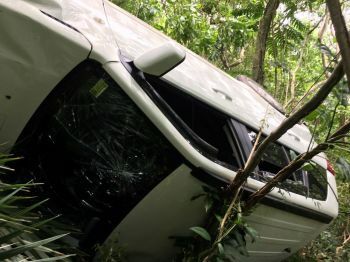 According to reports reaching this news site, it was after 12:00 P.M. when a Suzuki Jeep plunged off a road and into some bushes at Belmont Estate. 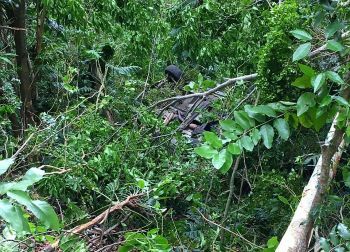 It is unclear what were the circumstances leading to the female driver losing control of the vehicle. 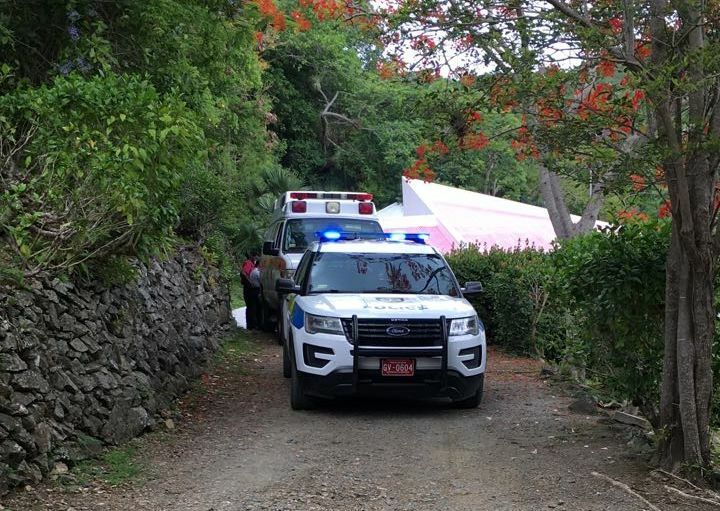 The injured woman was moments ago whisked away to Peebles Hospital. Really? Have you ever seen a dead person come back for their belongings? Also in people business telling and making up stories. And never the truth. We don't want blacks on the roads down here. So we don't want the roads fixed. Maybe now they will finally stop coming down here.